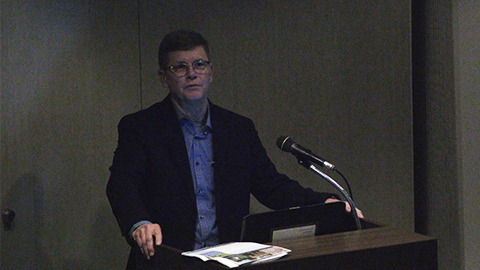 Terry Seidel, Director of Land Protection for The Nature Conservancy in Ohio, discussed parkitecture, a style of architecture that developed in the 1900-1940’s through the efforts of the U.S. National Park Service to create buildings that harmonized with nature. Terry discussed rustic architecture as a sometimes-literal bridge to the natural world, allowing visitors to be exposed to “the wild” without being fully immersed in it. Seidel shared examples in Ohio’s national, state and local parks, forests and historical areas and shared how these structures continue to act as portals to experiencing natural areas. The lecture was presented in partnership with The Nature Conservancy in Ohio. It took place at The Toledo Museum of Art.